The Polyco Bodyguards Powdered Vinyl Green Disposable Gloves is a minimal risk powdered vinyl disposable glove offering protection against contamination, dirt and potential irritants in low risk situations. An extremely durable disposable glove that provides good barrier protection and has a natural resistance to moisture and humidity. These safety gloves contain none of the proteins that are present in latex rubber this eliminating protein sensitisation. 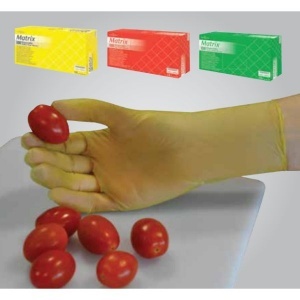 Tested in accordance to EU Standard EN 1186 and available in a choice of three colours, the Polyco Bodyguards Powdered Vinyl Disposable Gloves are perfect for use within the food industry by enabling hygiene control when dealing with different food types. Also very cost-effective, these are a great choice for when gloves need to be changed frequently. 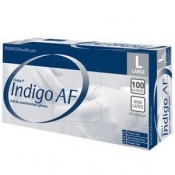 The soft vinyl formulation is flexible and dextrous providing greater comfort, and the inside of the glove is lightly powdered which eases donning and absorbs perspiration. The Polyco Bodyguards Powdered Vinyl Disposable Gloves are designed with a beaded cuff for additional strength and prevention of liquid roll back. These safety gloves are perfect disposable gloves for light duties. The Polyco Bodyguards Powdered Vinyl Disposable Gloves are sold as a dispenser, holding 100 gloves. The product code for these gloves is MVG100. The Polyco Bodyguards Powdered Vinyl Disposable Gloves are powdered for easy donning and sweat absorption. 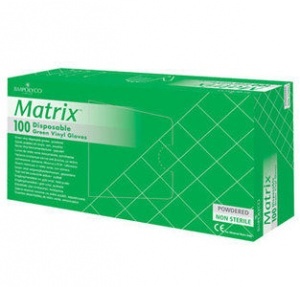 With no latex proteins, these safety gloves are suitable for sensitive skin and eliminate protein sensitisation. 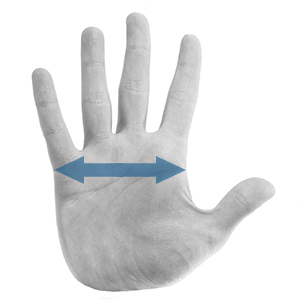 A rolled cuff gives additional strength and prevents liquid roll back. The Polyco Bodyguards Powdered Vinyl Disposable Gloves score AQL 4.0. The Polyco Bodyguards Powdered Vinyl Disposable Gloves are available in yellow, red and green. This is makes hygiene control easy to manage. 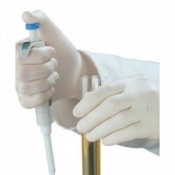 The Polyco Bodyguards Powdered Vinyl Disposable Gloves have been tested in accordance with European Standard EN 1186. They are suitable for use with food categories in situations of short term, repeat contact. They are however not suitable for contact with fatty foods. The Polyco Bodyguards Powdered Vinyl Disposable Gloves are latex free.